“Y el licenciado encargado de la aduana o sea de los pedimentos del lado Chetumal ha dado alguna declaración porque ácido el problema?" Our news team will have in-depth coverage of this story in tomorrow’s newscast. This confirms what I justv found out. The concreteing of the local streets in Buttonwood bay, and presumably in the rest of the city, has ceased from now 3 days ago.. I called Medina Construction who have this contract , who state that they have loaded trucks of cement in Mexico, who are denied crossing back into Belize because of Mexican customs paperwork. CISCO is also aware of the situation. Some one needs to sort this fast, or the construction industry will grind to a halt, with still more workers laid off. Tonight, approximately 50 trucks remain parked at a parking area in the Santa Elena Border with destinations to Belize, Guatemala and Honduras. As we reported last night, since Friday of last week, import and export products were not being allowed to cross the border since its private broker agency; Agencia Aduanal, “Servicios Aduaneros Integrados,” which is the only broker agency for the importation and exportation of goods on the Mexican side of the border in Subteniente Lopez had its license suspended. Today when reporter Victor Castillo visited the Mexican Customs authority, in an off camera interview, CTV3 News was made to understand that there are several reasons for the agency’s suspension. Licenciado Raymundo Loyola in charge of the Customs Department in Chetumal stated that the request of suspension was made by the ‘Servicio de Administracion Tributaria’ and the reason is one of three of the following; lack of information on the declaration form, a falsification on the document or a wrong address. Loyola said that a solution to this will require the Agency to provide original documentation and while that is not being complied to, the importation and exportation will be suspended until further notice. We could not confirm what these documents are, since the Agency declined to comment on the matter. We will keep a close eye on this story as it develops. For weeks we have been reporting on the negative impact of rains to the production of local scale onions for the country. And while the country has faced its share of losses in that agricultural sector, the importation of onions from neighboring Mexico was supplying the local marketing the meantime. 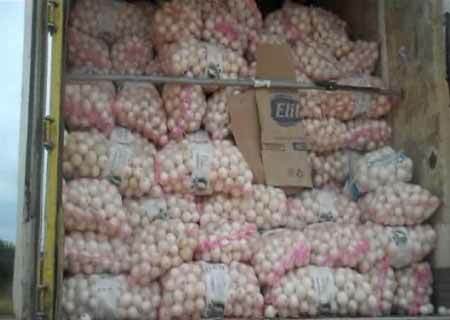 And with a halt on imports and exports from neighboring Mexico, today when Reporter Victor Castillo visited the border he came across a container full of onions with markings of its destination into Belize to recipient BMDC, which stands for the Belize Marketing and development Corporation. This container was one of several trucks that have been unable to cross the Mexican border due to the Broker Agency license being suspended since Friday of last week. And with tomorrow marking a full week that trucks have not been able to get clearance for their products to be imported into Belize, in this case, the perishable items are becoming rancid. Our attempts to get an estimated value for the products from Directors at the BMDC were unsuccessful as we were told that Mr. Silverio Marin was not in office today. What will become of the thousands of pounds of onions that remain stagnant at the Subteniente Lopez is anyone’s guess. We will be following this story on our newscast tomorrow where we were informed that Marin would be in office and is the one with the answers to our questions. Several importers of Mexican goods are stuck at the northern border unable to enter Belize since Friday last week. Arturo Cantún has the details. 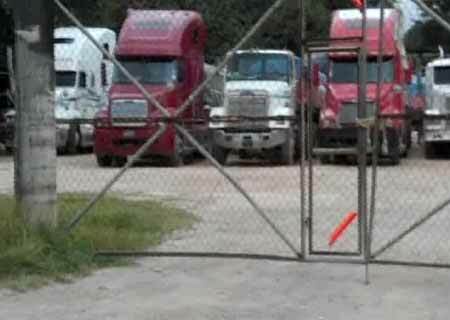 “Approximately 50 cargo trucks filled with Mexican goods are parked at the northern border on the Mexican side. These include trucks with goods destined to Belize as well as Guatemala and Honduras. 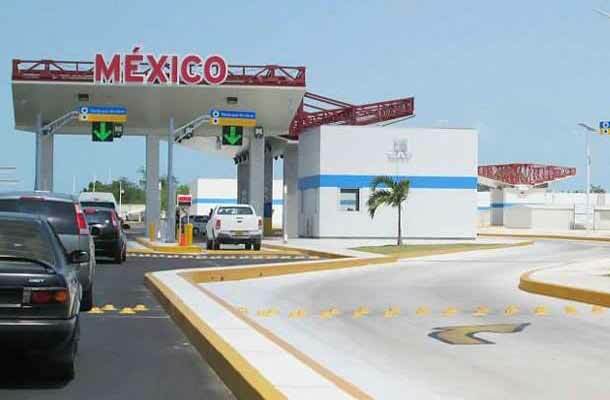 Since Friday, importers and exporters have been unable to get clearance for their goods as the license for the only custom brokers at the border on the Mexican side has been suspended by the Mexican’s Ministry of Finance. We spoke about the situation with Belize’s Honorary Consul in Chetumal, Licenciado Jorge Valencia. Today the Corozal Daily was at the Mexican border and Belizean businessmen continue to be agitated over a sensitive temporary halt of goods over the Mexican border that are the core economic activities in the area. The only custom Broker agency – SERVICIOS ADUANEROS INTEGRADOS, S.C. (SAI) for the importation and exportation of goods on the Mexican side of the border, has been suspended since Friday 24th. 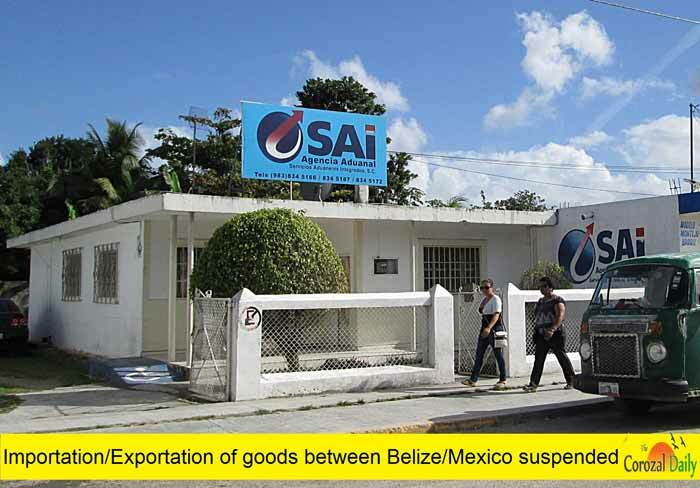 Goods and merchandise cannot be transported into Mexico, or from Mexico into Belize since the license for SAI has been and remains suspended. The reason for the suspension by the Mexican authorities, or when it will be lifted, is not yet known. Marcelino Miranda of the Mexican Embassy in Belize has stated to the media that SAI, the custom broker agency on the Mexican territory, is a private company and has nothing to do with the Mexican Government. There are other customs brokers who can do similar duties in the area, or a company from Belize can step up to offer the same duties on the Belize side of the border, he said, adding that the Mexican Embassy can be approached for assistance if no customs broker is found. We contacted a custom broker from Corozal at the border today and he said there is still no agency available on the Mexican border to process and clear goods. This leaves all importers and exporters from Belize to Mexico and vice versa at a stalemate with timing running out on some exporters who have paid for perishable goods but are unable to clear it. The Corozal Daily noted a long line of Belizean businessmen and custom brokers at another agency on the Mexican border trying to find a quick solution to the stalmate. The Daily will bring you the latest in this current situation affecting our import/export between Belize and Mexico. 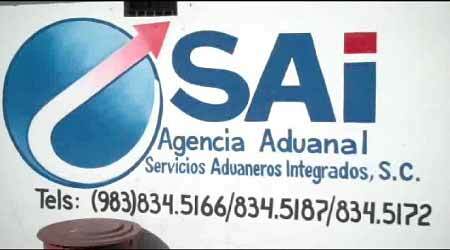 Fifteen days that’s how long the importation and exportation at the Northern Border was put on halt due to the suspension of the license of the only Agencia Aduanal “SAI” at the Mexican Border in Supteniente Lopez. Tonight, the good news is that another broker agency has begun operations and is working tirelessly to release all cargo trucks that have been stranded for days. Reporter Victor Castillo has been following the story since last week and today he was once again at the Mexican border and filed the following report. Over the past days we have been reporting on the ongoing situation at the Belize/Mexico Border where products were not being allowed to be exported or imported to and from Belize and Mexico due to the suspension of license for the Agencia Aduanal, “Servicios Aduaneros Integrados,” which is the only broker agency for the importation and exportation of goods on the Mexican side of the border in Subeniente Lopez. After sitting at the border for fifteen days, these containers, filled with a number of products including cement, steel and vegetables are finally being released for importation to Belize. The problem was solved with the opening of a new broker agency which started its operations on Friday last. With the importation and exportation of goods returning to normality we managed to speak with Jesus Miguel Lara the director of the new agency, “Alfonso Bello Juarez”. Lara explained to us more in detail the entire operation. In an off camera interview with CTV3 News last week, Licenciado Raymundo Loyola in charge of the custom department in Chetumal, told us that there are several reasons as to why SIA’s licenses was suspended including lack of information on importation and exportation documents, declaration and falsification of documents. The suspension was requested by SAT. But while that problem has been resolved, the work is back logged and the process to handle approximately 80 to 90 containers will not be an easy task. As for Servicios Aduaneros Integrados, CTV3 News understands that their license or Patente remains suspended until further notice. While the problem of importation and exportation of goods at the Northern Border is finally resolved, the damage has been done and truth of the fact is it will take days before all the containers have been released. The 15 days interruption has caused a trickle effect on the economy of Belize with its rippling effects being felt by distributors down to the layman. Reporter Maria Novelo followed the story and filed this report. An unexpected shortage of cement has stunned the construction industry in the northern districts, delaying many projects; from small to large scale. And the present embargo is being blamed on the freezing of importing and exporting cargo trucks at the Mexican Border; where we understand, the license for trade of the broker agency, “Servicios Aduaneros Integrados,” has been suspended. It’s a suspension going on for fifteen days and today, the effects are being felt from the distributors to the average construction men, who are either unable to supply the cement or can’t build due to the shortage. And while demand exceeds supply, thousands of dollars are being lost and many are out of jobs and production is at a standstill. Officially what we got from the Embassy of Mexico in Belize is that because it is a private matter, it does not concern the Mexican government. Many are hopeful for a resolution to the issue. Because cement is a primary ingredient for making concrete, the shortfall could impact many more homebuilding projects, unemployment, business loss and put a dent in the revenues generated from the imports and exports of products to Belize. The ones taking the hardest hit are the small time contractors who as the saying in kriol goes, ‘ketch and kill’ to put bread on their table. Both of the major distributors we spoke with say so far, with each passing day, thousands of dollars are being lost.